I’m away on holidays this week in the mega cycling town of Bright in Victoria, so I’ll keep it short and sweet, and share some of my favourite women’s cycling resources and websites with you. And next week I’ll share some of what I learn about Bright. The UCI has a women’s section of its website which is focused mainly on the women’s pro peloton. 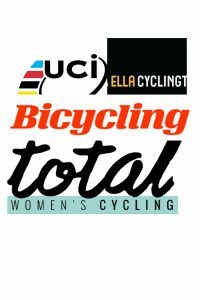 UK based Total Women’s Cycling offers the best alround women’s cycling coverage with stories about pro racing, big events, product reviews and stuff that every day riders want to know about. Cycling Tips launched its women’s site a couple of years ago with much fanfare but in my opinion they’ve not quite lived up to expectations. It is fairly racing focused but I recommend you take a look and make up your own mind. If you’re keen on the women’s pro cycling scene then head to Pro Women’s Cycling. This website is focused on the women’s pro peloton so if that’s your thing, it’s a great resource. A couple of the big US-based bike websites have a women’s section including Bike Radar and Bicycling. For bike travel tips and great trips you should head over to Follow My Wheel which is a relatively new blog from fellow Sydneysider Laura Rigby. Share your favourite women’s cycling resources and websites via comments for the Women Who Cycle Facebook page.